This is a fun learning game for division! 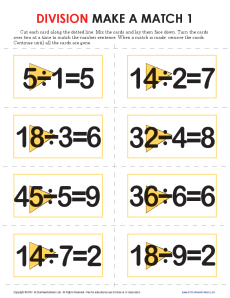 Cut out the cards, turn them over and have your youngster match the pairs of division equations. For added fun, have pairs of students take turns to find the most pairs.